The emu (Dromaius novaehollandiae) is an Australian bird. It is the second-largest living bird in the world by height, after its relative, the ostrich. Emus are soft-feathered, brown, flightless birds with long necks and legs, and can reach up to 1.9 metres (6.2 ft) in height. 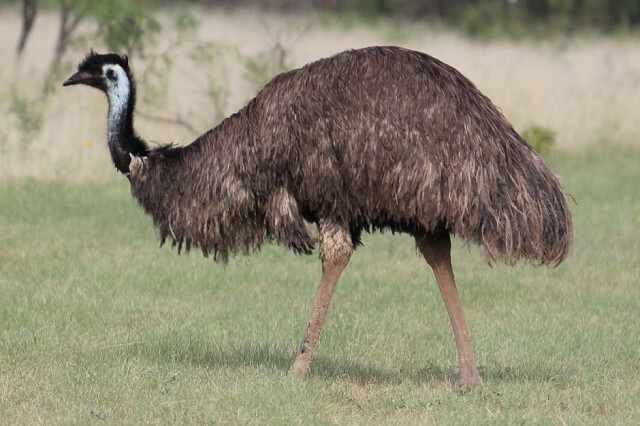 Emus can travel great distances, and when necessary can sprint at 50 km/h (30 mph); they forage for a variety of plants and insects, but have been known to go for weeks without eating. They drink infrequently, but take in copious amounts of water when the opportunity arises.